Best selling Star Wars author Timothy Zahn says he is against killing main characters. Zahn first burst onto the Star Wars scene with his 1991 book Heir to the Empire, followed by the second and third chapters in his Thrawn trilogy (Dark Force Rising and The Last Command). This then gave rise to a small library of books that continued the story of the Star Wars franchise and was once known as the Star Wars Expanded Universe. The EU was relegated to an alternate universe when Disney purchased Lucasfilm in 2012 and decided to focus on the lore of the Star Wars movies and Clone Wars animated series. The EU is now known as the Star Wars “Legends” imprint, instead. Zahn’s Thrawn trilogy had an indelible affect on the Star Wars Expanded Universe. It introduced the character of Thrawn, who would go on to survive the purge of the EU. The trilogy followed Luke, Leia and Han five years after the events of Return of the Jedi. In Heir to the Empire, Grand Admiral Thrawn, the last of the 12 admirals of the Imperial fleet, takes command of the scattered Imperial forces. Meanwhile, the trio attempted to grow the fledgling New Republic while avoiding kidnapping attempts orchestrated by Thrawn for Luke and Leia, who is pregnant with twins. “My philosophy before the sequels came out was that Star Wars was not the kind of thing where you killed off major characters”, Zahn said in an interview with SYFY. According to the author, characters like Lando Calrissian and Wedge Antilles wouldn’t have survived the series if main characters started being killed off. He felt the Star Wars sequels should instead focus on the children of the main characters. The original protagonists would still be around, but take up more of a background role. “You don’t have to kill off a character to get them offstage”, as he put it. 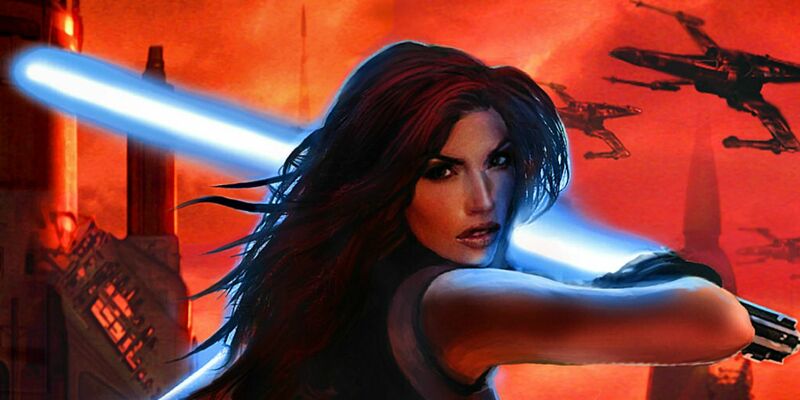 Thrawn, who Zahn created, is one of the few EU characters to have made it into the new Star Wars continuity so far, though there are rumors that Mara Jade (another Zahn creation) could be in Star Wars IX. 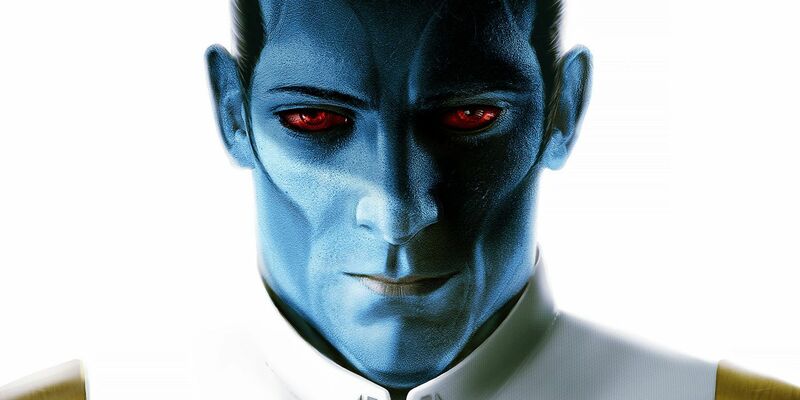 In addition to Star Wars Rebels featuring Thrawn as one of its main antagonists, Zahn’s original Thrawn book trilogy has had an influence on the new Star Wars canon in other ways. For example, Thrawn’s plotting to restore the Empire from its shattered remains can be seen in the birth of the First Order. There are also noticeable similarities between Han and Leia’s son in the EU, Jacen Solo, and Ben Solo/Kylo Ren in the post-Disney Star Wars continuity. Zahn saw the stories as the heroes getting into trouble, finding their way out and ultimately having a happy ending. The latest additions to the Skywalker saga, on the other hand, have seen a lot of death. First Han Solo met his end at the hands of his son in The Force Awakens. Luke then died in The Last Jedi, though he will be returning in Star Wars IX (presumably, as a Force Ghost). Now the series has to contend with Carrie Fisher’s death and what will surely be the end of Leia in Star Wars IX. That’s the original trio of Star Wars heroes, gone in three movies. Zahn’s desire for happy endings for the main characters isn’t unusual; even the original Star Wars movie trilogy went that route. Despite the many hardships they went through, Luke, Leia, and Han all made it to the end intact. By comparison, these new stories seem to want to emphasize that not everything will work out and every hero’s story eventually reaches its ending. The Last Jedi was perhaps the best example of this darker and more realistic take on the concept of endless war. On a more positive note, the current Star Wars trilogy has also set up a worthy crew of characters to carry the torch on from here.